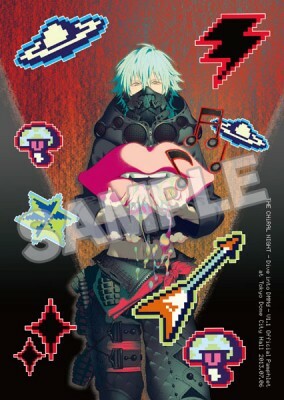 This pamphlet was especially made for the "THE CHiRAL NIGHT -Dive into DMMd- V1.1/V2.0" live concerts held at Tokyo Dome city Hall on July 6-7, 2013. 2013. The cover art as well as the original illustrations inside are all by Honyalala! Also features CHiRAL NIGHT image character Naito-kun by Uiro Yamada and Yupon!